No Indian meal is complete without subzis. Whether lunch or dinner, the subzis play an important role in balancing the meal, not only taste and texture but also on nutritional front. Vegetable are nature’s gift to us. 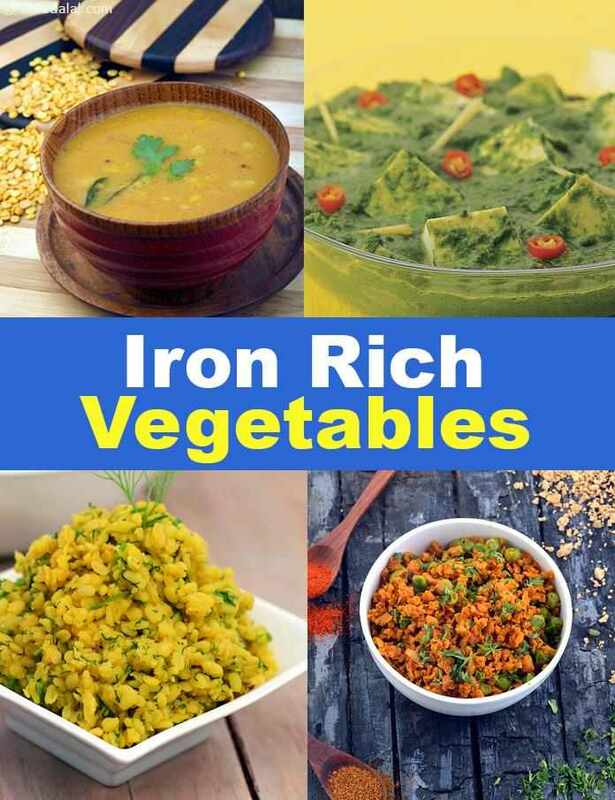 A horde of green leafy vegetables, which are a good source of iron, can be paired with other veggies or beans and spices to make an interesting subzi. Aloo Palak, Baingan Methi ki Subzi, Cauliflower Green Pitla are a few exciting subzi options in this section. Dals too are a source of iron along with protein. Choose from the array of dals like moong dal, masoor dal, urad dal etc. to create tempting options like Rajasthani Dal, Dhan-saak Dal, Vaal Dalimbi. To add some more variety to your meals, you can try your hand on dal-green veggie combos to create unique recipes like Tendli aur Matki ki Subzi, Suva Moong Dal Subzi, Palak Methi and Corn Subzi, Chawli Masoor Dal, Hariyali Dal and so on. This section is sure to delight one and all who wish to build their iron stores!